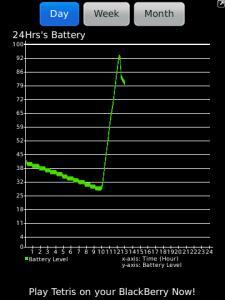 Tracks battery status over time - Line chart visualization of battery state by day, week, month. Integration into native BlackBerry® applications - Battery level indicator icon and battery state (full charged, charging, unplugged). Running out of battery warnings - Adjustable warning level and notifications.